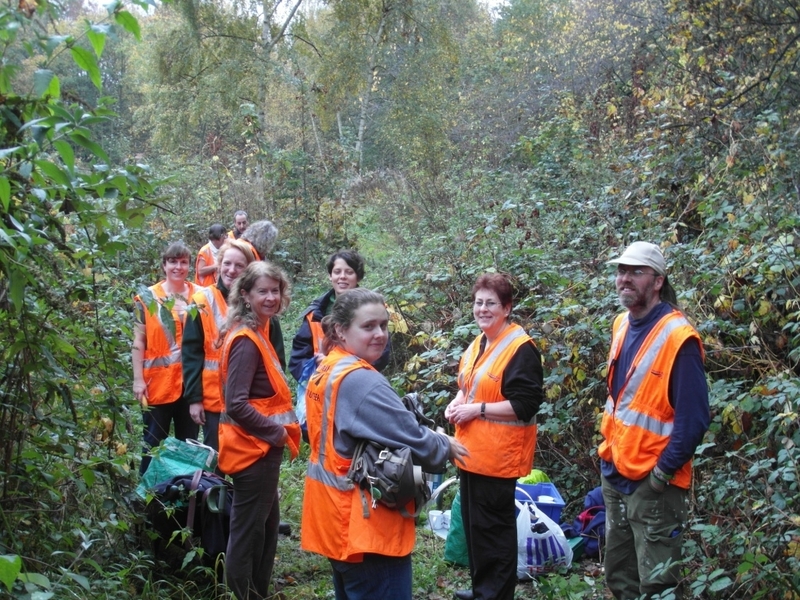 The last time Nature’s Gym and the Friends of Hither Green Triangle visited the site, they all got very very wet, but they managed to get a lot of work done. Last weekend we all kept our eye eagerly on the weather reports and our hearts sank – another wash out. Luckily and rather remarkably(!) the weather reports got it wrong and while it was a little chilly there was no rain. 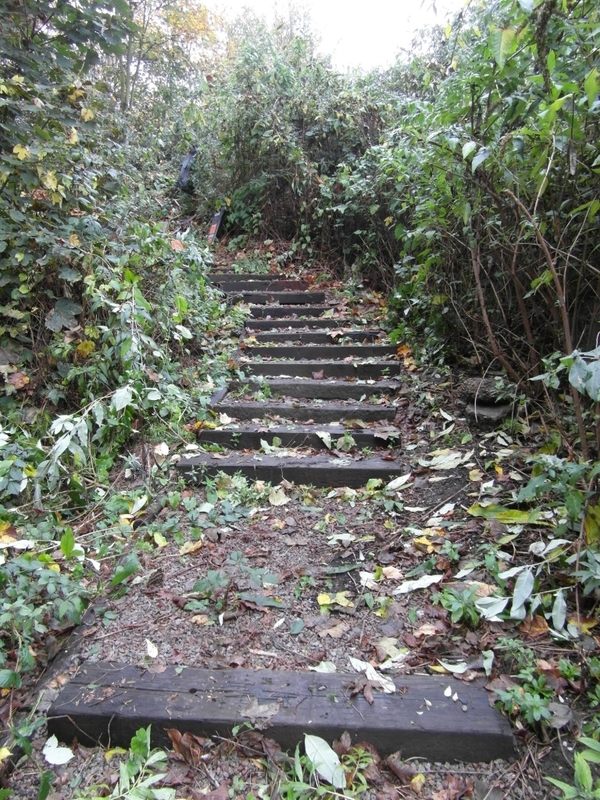 The volunteers worked hard to get more steps in up to the platform and had to avoid all manner of obstacles, hopefully the next time the Friends are there they will make it up to the top. 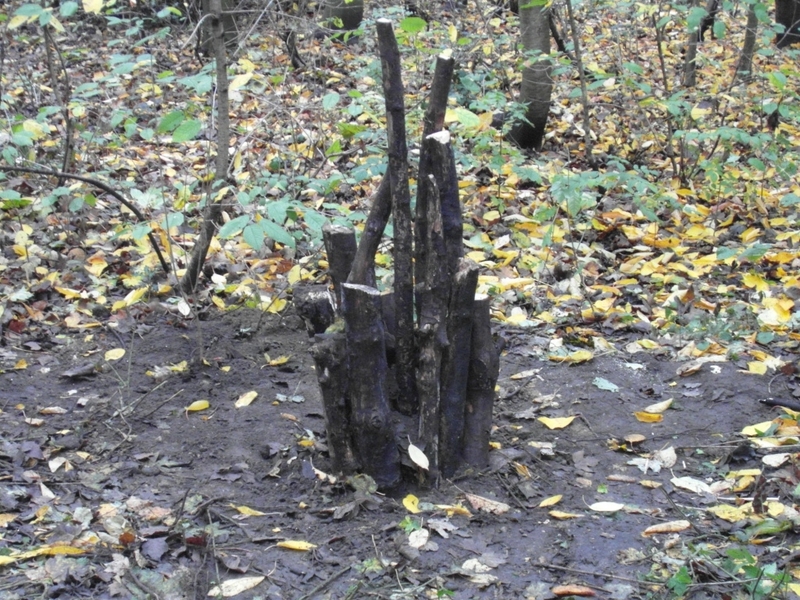 Meanwhile at the other end of the site another group built a stag beetle loggery. These are very important habitats for all sorts of insects. In fact, decaying wood in the UK is home to almost 1800 invertebrate species! Stag beetles are found mainly in the south of England and are threatened species in Britain and Europe. It is our largest insect – adult males can be up to 7cm long. The larvae are found mainly in rotting stumps where they consume vast amounts of decaying wood and take about five years to develop into adults. There is still plenty of work to do on site and everyone is looking forward to getting stuck in again. Future plans include creating more habitats and reviving the old pond on site. A big thanks have to go to Network Rail for allowing us on to the site. We are grateful to them for this and all their support.